This small anglicum type grows to about 1 inch tall and spreads in a neat controlled fashion. 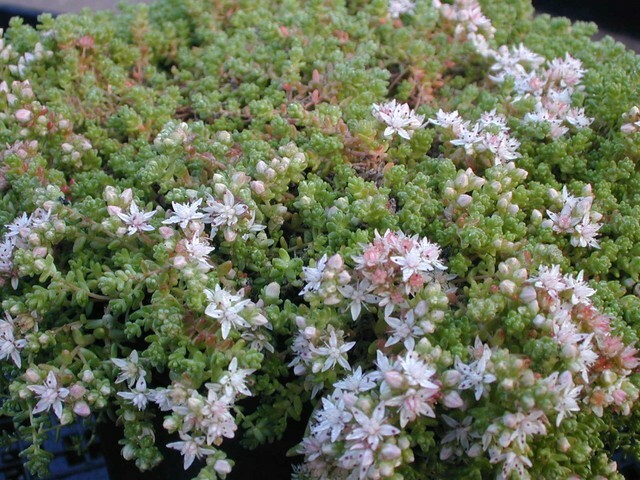 Summer flowers are white with red carpels, giving the flowers a nice pink appearance. Plants are evergreen and have a deep green color. British Isles.